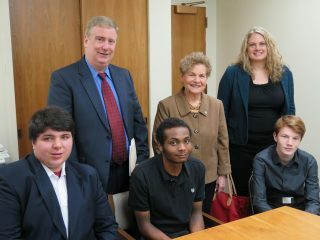 New York State Assembly Member Ellen Jaffee met on March 1 with Rockland BOCES Career and Technical Education and STEM students and administrators in Albany. The annual BOCES Advocacy Day allowed students to share their personal stories with lawmakers – educating local representatives on the value and strength of BOCES programs. 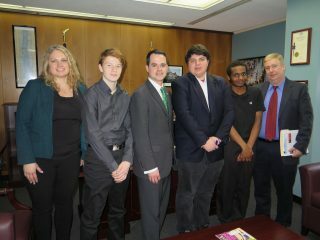 Representative Jaffee learned how Career and Technical Education courses support Rockland County’s economy. 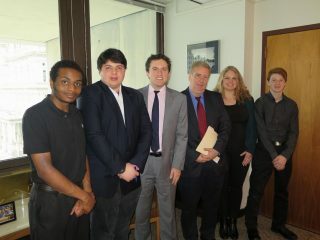 Rockland BOCES students educated state Assemblyman James Skoufis on the value of BOCES’s innovative CTE and PTECH programs at the event. State Senator David Carlucci also heard first-hand about the power of Rockland BOCES on March 1, with students sharing personal success stories on how Career and Technical Education and STEM programs uniquely serve their needs.